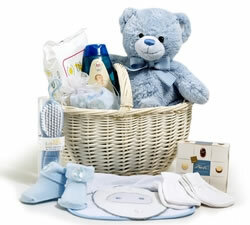 Celebrate the pitter-patter of tiny feet with our bew baby hampers. 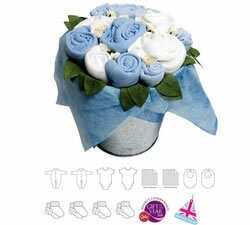 We have an adorable selection of new baby gifts & baskets - in pinks, blues and neutral white - that baby & mum will love alike. 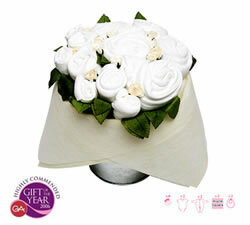 One of the most joyous occasions is the welcoming of a new human into the world. Celebrate the pitter-patter of tiny feet and deliver one of our new baby gifts and hampers straight to Mum for a present she will love. 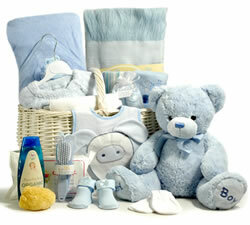 Our carefully selected hampers are packed with all kinds of adorable goodies for the new arrival. 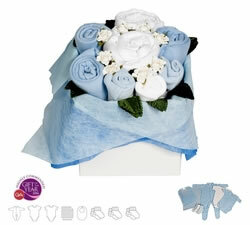 Treat a new mum to the charming Welcome Bouquet in pink or blue and watch as she discovers tiny little socks for tiny little feet and baby body suits arranged to look like a gorgeous bouquet of flowers. Give her the gift of our Baby Girl Basket or Baby Boy Basket which are packed full of all the essentials for her little bundle of joy, like bibs, combs and organic wipes, and a box of chocolates for Mum of course! To mark the occasion, our new baby gifts are lovingly gift wrapped with luxury ribbon and come with a personalised message.